Alleging that the Trinamool government in the state was only interested in appeasing minorities, Shah said the party's downfall will begin on May 23. However, he added that citizenship would be granted to every Hindu and Buddhist refugee. “The illegal immigrants are like termites. They are eating the grain that should go to the poor, they are taking our jobs. The T in TMC stands for Tushtikaran, (appeasement), M for Mafia and C for Chit funds,” Shah said while addressing a rally in Raiganj, West Bengal. 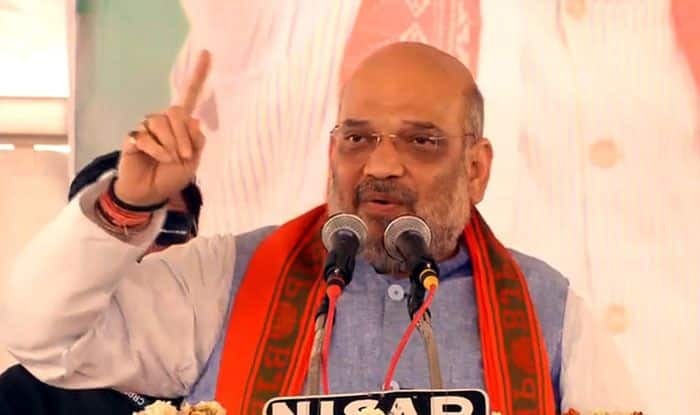 Alleging that the Trinamool government in the state was only interested in appeasing minorities, Shah said the party’s downfall will begin on May 23 when the BJP bags 23 Lok Sabha seats from Bengal. Raiganj goes to polls on April 18 and Shah appealed to the voters give his party a chance. Shah said no matter how much Mamata Banerjee opposed NRC, the BJP was committed to bringing it in West Bengal like Assam. He also alleged that the Central funds of Rs 4.24 lakh crore disbursed for the development of the state were squandered by TMC ‘goons’.